Engineered Logs are timbers that are glued with nontoxic and environmentally friendly waterproof adhesive and pressed together under a regulated pressure rating until they bond as one solid piece of wood, i.e. a laminated log. This multi-layered log is stronger and more durable than a traditional solid log. A laminated log home will be less subject to the wear and tear of time and the elements. This added value will keep maintenance costs to a minimum, and consequently save you money. 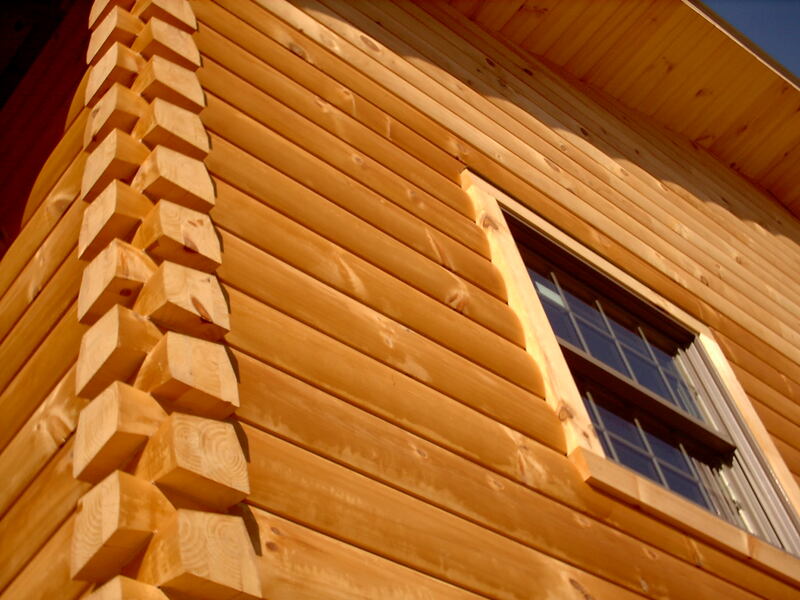 Due to moisture content, solid logs run the risk of shrinking or settling. Although millers strive to eliminate this by properly stacking and dry kilning lumber, there is still a chance that settling may occur. Before an engineered log is assembled, we make sure that the moisture readings are around 9%. This extra care ensures that your laminate log will have the tightest possible bond – minimizing twisting, cracking, checking, and shrinkage. Where the logs are kiln dried they are also more resistant to decay because they are below the 19% fungi threshold. The glue bond between boards is stronger than a solid log, and it is also waterproof. The bond is virtually impossible to break, and the adhesive is nontoxic and environmentally friendly. The unique drip edge that is designed into each log profile provides extra protection from water entering between log courses and potentially causing problems. 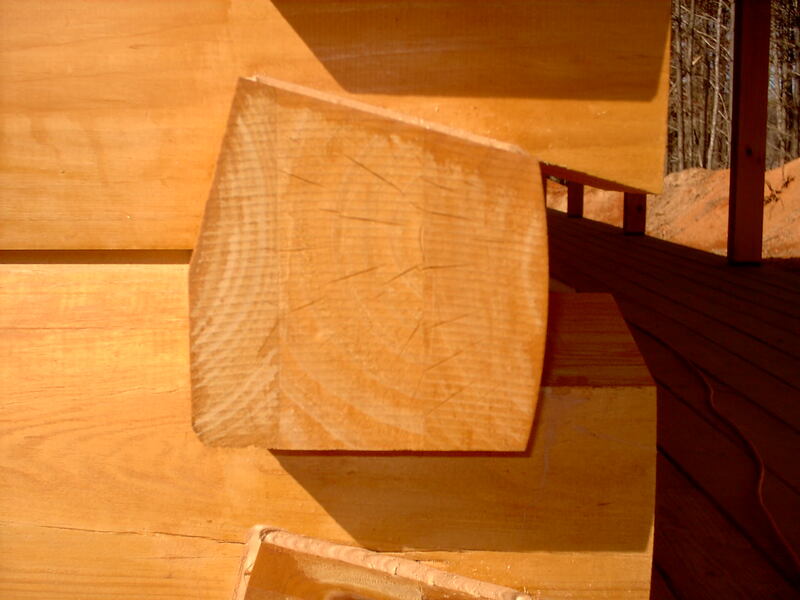 Quality control for Burks Fork Log Home engineered logs are governed by strict SPIB guidelines.